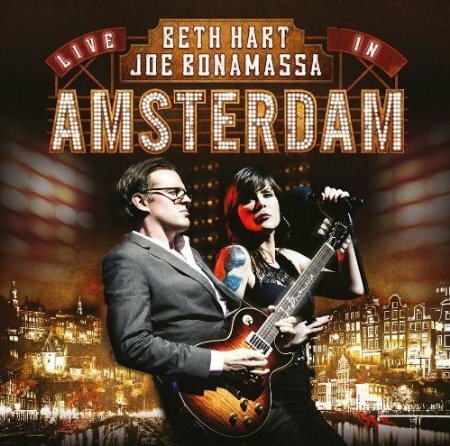 Live In Amsterdam is a live album by Beth Hart and Joe Bonamassa. After the release of their second studio collaboration in 2013, they did a few shows together in Europe and the last two nights were recorded to form this album. This is included in the poll to find the best live albums by Joe Bonamassa. It’s a bit different from his normal blues rock. I’ve also included it in the poll to find the best rock&roll and early r&b live albums. This entry was posted in 2010s Live Albums, Blues Rock Live Albums, Rock n Roll and Early RnB Live Albums and tagged 2010s Blues Rock, 2013 Live Albums, Beth Hart Live Albums, blues rock 2013, Joe Bonamassa Live Albums by Paul Simister. Bookmark the permalink.